Alien Planet Photo: Is Something Really Out There? As David Duchovny famously said during his “X-Files'” days, “the truth is out there,” well, according to astronomers who think they’ve captured the first-ever direct photograph of an alien planet, he could be right. The picture, which captured a giant alien planet as it is coming together, was snapped by the European Southern Observatory’s Very Large Telescope in Chile. It shows a faint blob embedded in a thick disk of gas and dust around the young star HD 100546. The object appears to be a baby gas giant planet, similar to Jupiter, forming from the disk’s material, scientists say, reported Yahoo. “So far, planet formation has mostly been a topic tackled by computer simulations,” astronomer Sascha Quanz of ETH Zurich in Switzerland, leader of the research team, said in a statement. “If our discovery is indeed a forming planet, then for the first time scientists will be able to study the planet formation process and the interaction of a forming planet and its natal environment empirically at a very early stage,” stated Yahoo. The star HD 100546, which lies 335 light-years from Earth, was already thought to host another giant planet that orbits it about six times farther out than the Earth is from the sun. 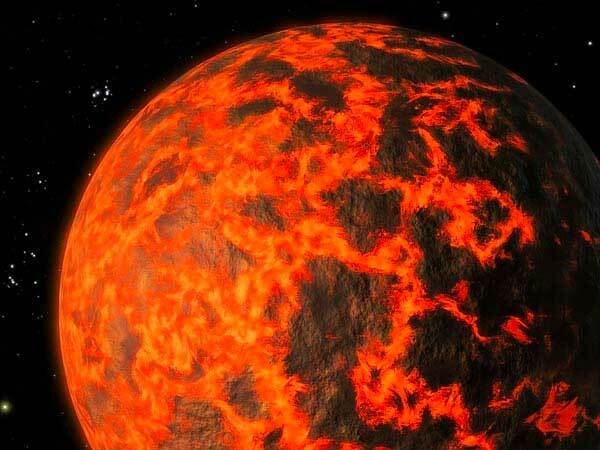 The new potential planet lies even farther, about 10 times the distance of its sibling, at roughly 70 times the stretch between the Earth and sun. [Giant Planet In the Making Spotted? (Video)], according to Huffington Post.